See photos from happy customers of their puzzle and drop top wedding guest books. 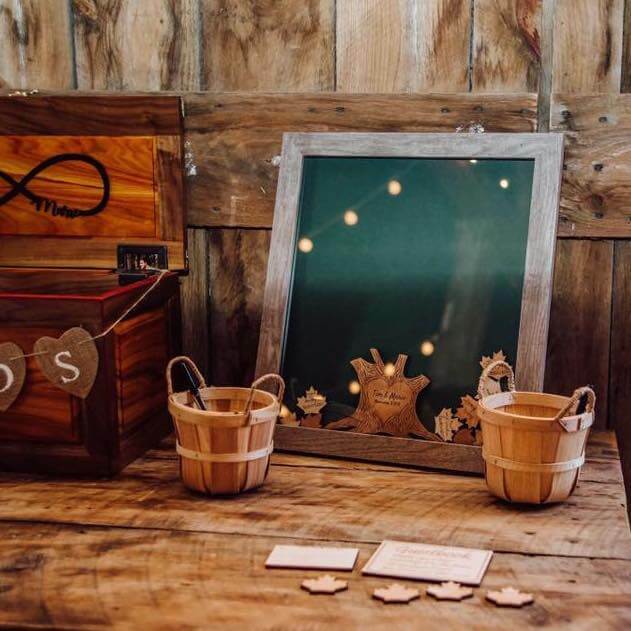 Perfect for rustic, nature-inspired, or alternative weddings! Unique drop top guest books for your upcoming wedding or event. 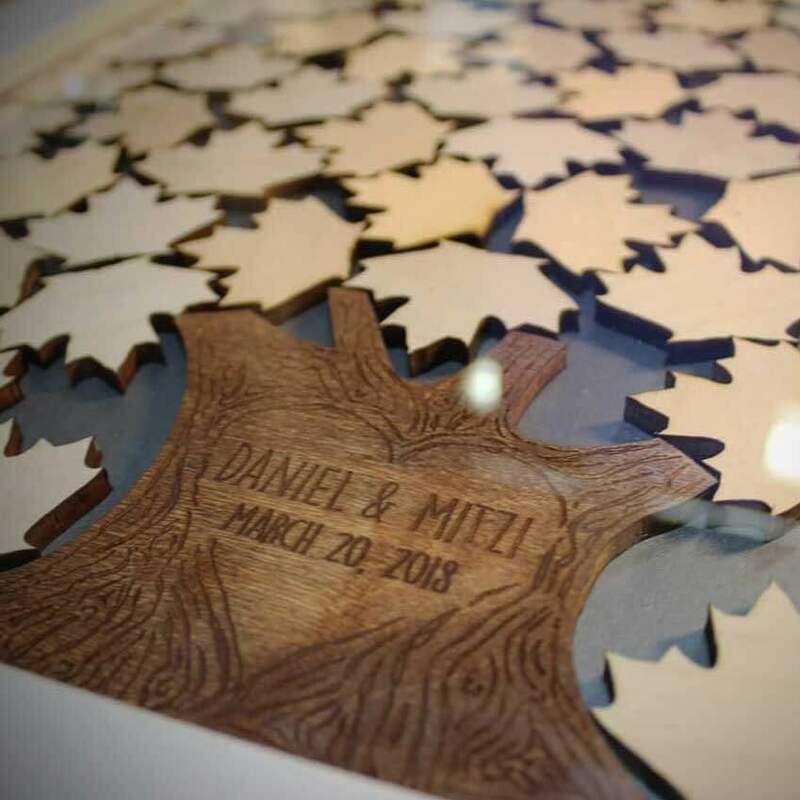 We have trees, hearts, and any custom shape you can dream up. 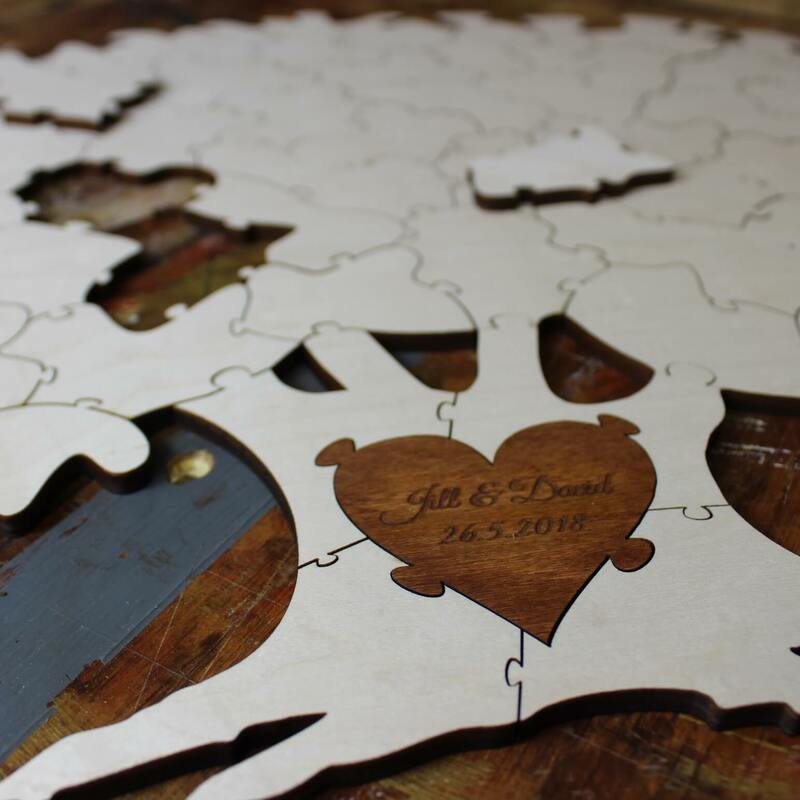 Gorgeous personalized puzzles in the shape of trees, deer, hearts, or anything you can imagine. The center-piece is custom engraved to commemorate the celebration.